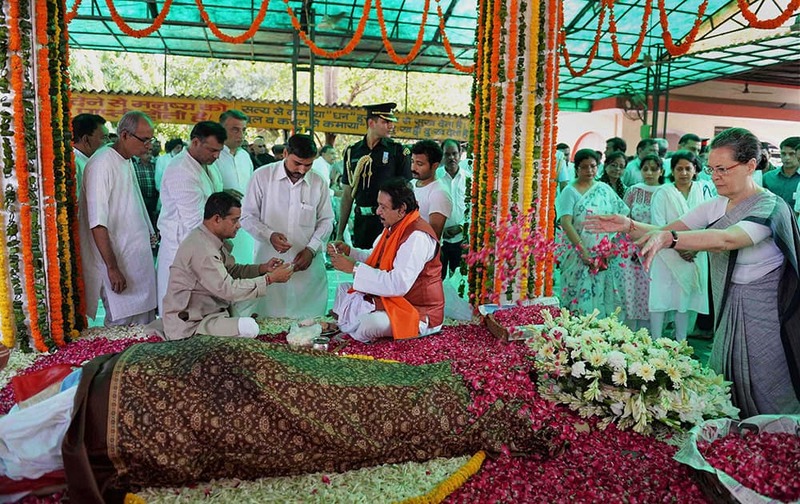 Prime Minister Narendra Modi pays his last respects to First Lady Suvra Mukherjee at the cremation ceremony of the First Lady Suvra Mukherjee at Lodhi Road Crematorium in New Delhi. 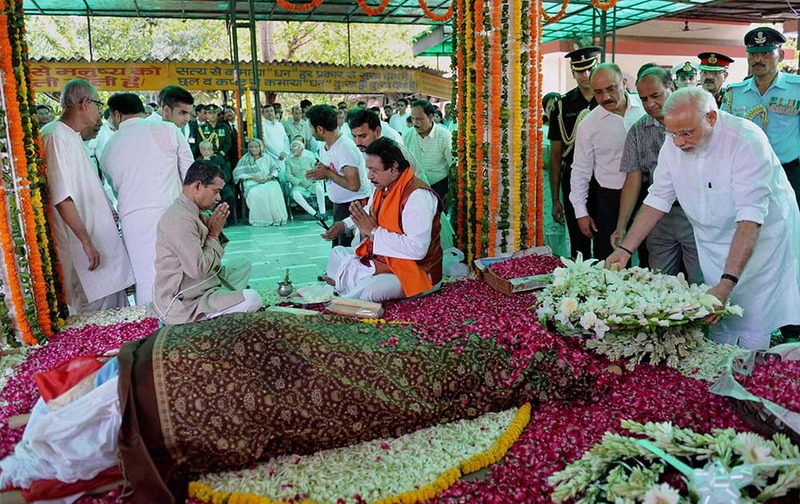 Congress President Sonia Gandhi paying her last respects to First Lady Suvra Mukherjee at the cremation ceremony of the First Lady Suvra Mukherjee at Lodhi Road Crematorium in New Delhi. 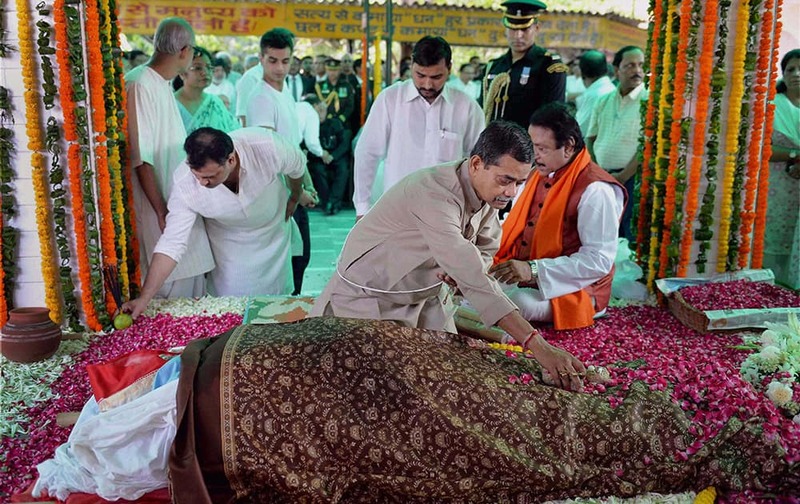 Congress leader Abhijit Mukherjee perform rites at the cremation ceremony of his mother and First Lady Suvra Mukherjee at Lodhi Road Crematorium in New Delhi. 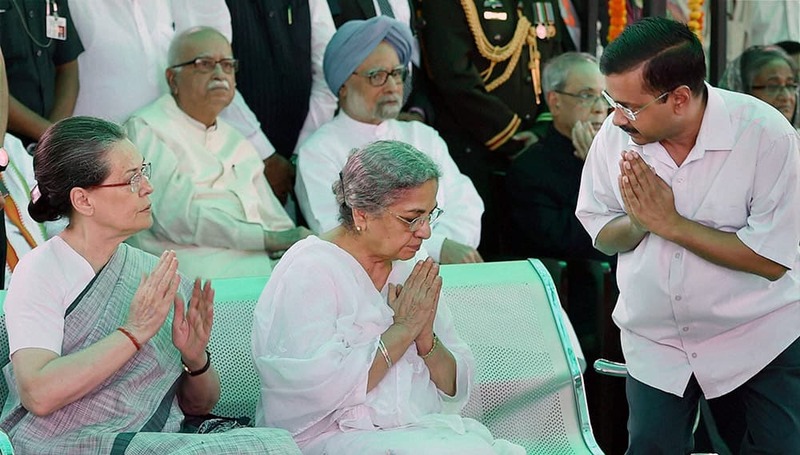 Former Prime Minister Manmohan Singh, BJP leader LK Advani, Congress President Sonia Gandhi, Gursharan Kaur and Delhi Chief Minister Arvind Kejriwal attending the cremation ceremony of First Lady Suvra Mukherjee at Lodhi Road Crematorium in New Delhi. 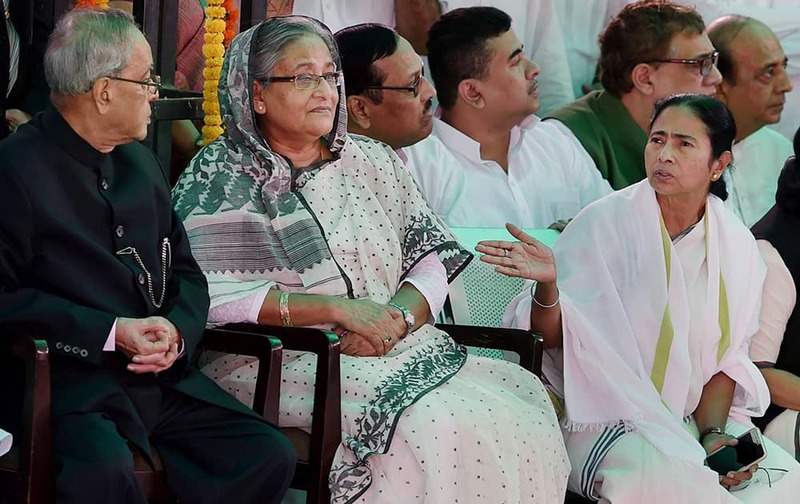 President Pranab Mukherjee, Bangladesh Prime Minister Sheikh Hasina and West Bengal CM Mamata Banerjee at the cremation of First Lady Suvra Mukherjee. 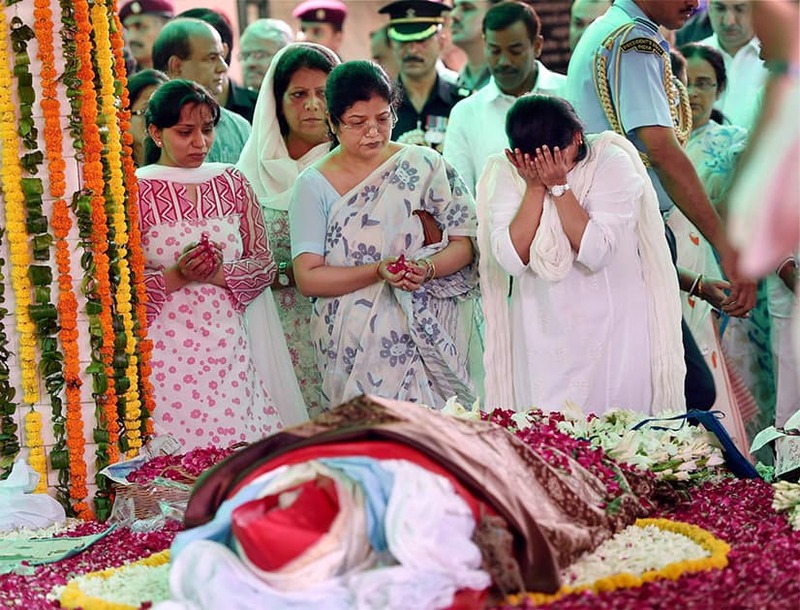 Sharmishta Mukherjee and other family members during the cremation ceremony of First Lady, Suvra Mukherjee in New Delhi. 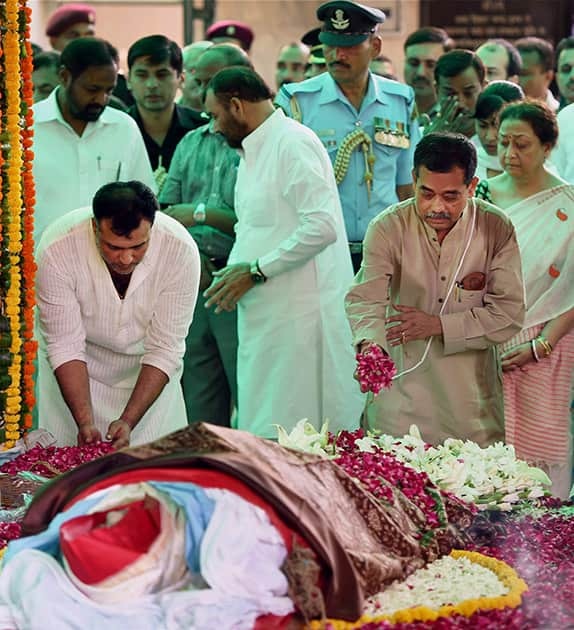 Congress leader Abhijit Mukherjee performs rituals for the last rites of his mother and First Lady, Suvra Mukherjee at Lodhi Road Crematorium in New Delhi. 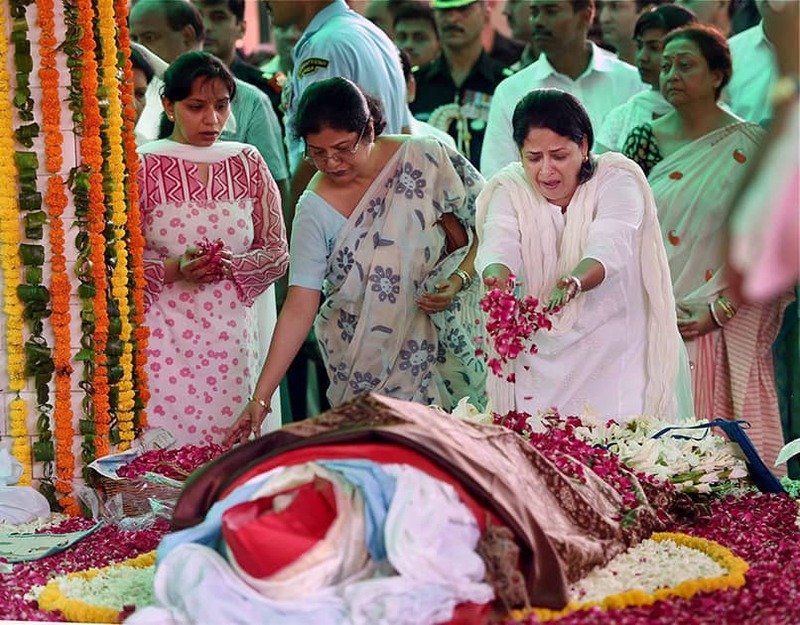 Sharmistha Mukherjee paying her last respects to her mother and First Lady Suvra Mukherjee during her funeral in New Delhi.